Understanding your business risk in the event of a disaster–and related downtime, data loss and other factors–is a good place to start. Factor in loss of productivity from your employees. This can be quantified by calculating employee salaries, wages and overhead for every hour of downtime. You can also calculate loss of revenue if you are unable to process orders, have to disrupt manufacturing, or lose the ability to fulfill customer demand. Also, add in any long-term damage from loss of reputation if you were to suffer a long-term outage. These costs easily add up to impact your company’s bottom line in the case of a disaster recovery scenario. Not all data is mission critical. Some systems may be more critical than others to get your company back operationally. Determine which systems are most important to your daily operations. Decide how much risk you are willing to take in terms of hours, days or weeks of downtime. Systems that keep your employees productive and revenue flowing in your business may need to take priority. You may need redundant failover for phones, email and order processing to ensure maximum employee productivity and minimum loss of revenue. Other data, including shared files, may not be as critical and could be restored from an hourly, daily, weekly or monthly backup with minimal disruption to productivity and little economic loss. Review and document your decisions to guide your planning. Also factor in the human element to train your employees what to do in a disaster. Once you understand your risks and have a documented plan, you can align your goals with a backup and disaster recovery solution. You can now begin to implement real-time redundancy for Cloud Backup for mission-critical systems. Where possible, consider having alternate sources of backup in case one system fails. 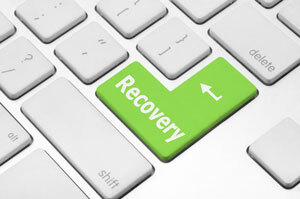 Depending on the disaster recovery scenario, this could be worth the investment. Test your backup before you go live, and be sure to test the restoration and recovery processes as well. You should also monitor your backups regularly to identify and remedy failures as they occur. Being prepared with a solid plan for backup and disaster recovery ensures employee productivity and safety. It can also make the difference between business recovery and business failure. Contact your trusted advisor to discuss your needs for backup and disaster recovery.